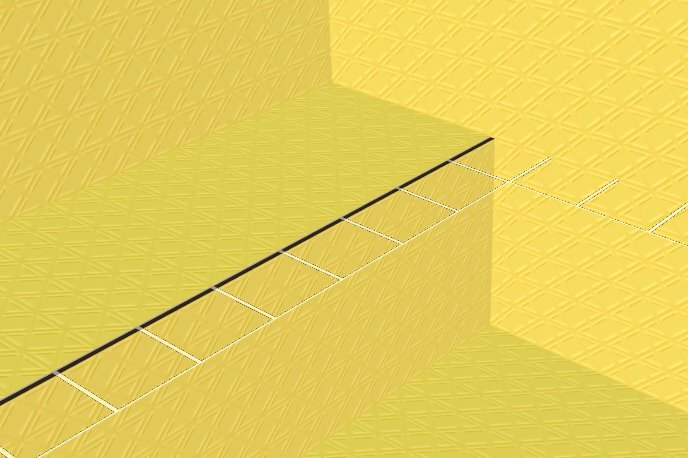 Making a set of 'space but not trek' walls and floors - for exteriors. Not metal, not wood, not plastic. I've done a matte ceramic (similar to the space shuttle ceramic tiles look). 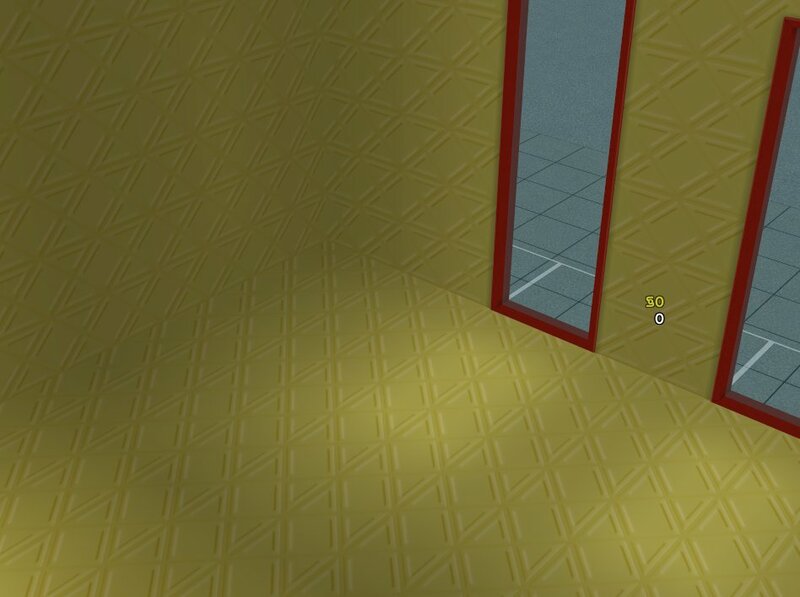 The problem I'm having is colour matching between floors and walls. Outside in the shadows... not that much of a problem, although the floor tiles are darker than the wall, we can blame that on the way the light is hitting it. Outside in the light however, we're getting quite a difference in colour from the matching values. There's a significant tonal difference between the wall and floor - and it's not pretty. 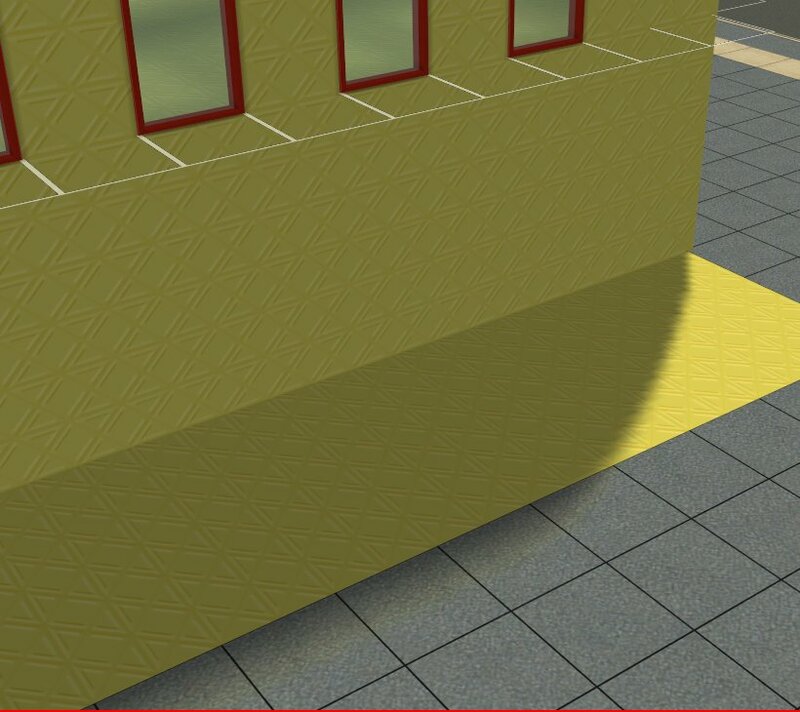 Differences - Floor as a Reflective Strength = 1.000000, that Walls don't have. Walls have a huge number of fields that floors don't have. Is this a known problem, and if so is there an easy fix for it? Or do I need to make the floors purposefully a different colour to mask it? That sounds reasonable Kate. I'm have a look at Niol's shader and see if I can do something similiar. Well, after reading the graphics rules.sgr for almost a year now, I can understand what they're doing in the xml, and it looks fairly ok. But I have NO idea how to set it for floors and walls and ceilings. So hmmm.... I might see if I can talk to someone who is a guru about this.